Buxted Park Cricket Club was formed in 1867 and as far as is known has always played at Buxted Park. The old Buxted village used to be situated at the southern end of the ground but in the 18th century the then Lord of the Manor let the village fall into disrepair and it has since been re-sited a miles a so to the east, where it stands today. 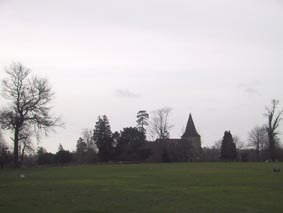 Hence the church of St. Margaret’s stands in splendid isolation while the top end of our ground is a listed ancient monument, the site of the medieval village. Over the years the Cricket Club grew and in 1970 Buxted Park Bowls Club was launched and the club commenced bowling on its newly laid 6 rink green. From the mid 70’s the two sections got together and held an annual barbecue to raise funds and this somewhat trivial liaison proved to be the launch pad of the Sports Association. The club opened its bar in what was known as the “little green hut” but this much loved building was replaced by a new clubhouse in the mid 80’s shortly before which the Hockey Section was formed. The early 90’s saw yet another addition when Friars Gate Archers joined the Buxted Park set-up. Things were very comfortable in Buxted Park…………….but nothing is set in stone! By this time the existing “new” clubhouse was over 10 years old and the Management Committee had planned to carry out various improvements. However, on 8th September 1998 the pavilion was gutted by fire. 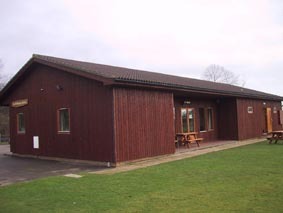 The new pavilion was officially opened in 2000 and was built to a much improved specification thanks largely to the generosity of Bill Wickham. The final piece in the jigsaw was put in place in 2002 when Wealden Ladies Stoolball Club joined the Buxted Park set-up. Thus five sports now fall under the Associations banner providing recreational facilities for close on 200 senior members plus a host of juniors who are coached at cricket and hockey. Other activities that take place, some more serious than others, include a Golf Society, Cribbage, Bridge and Upholstery.